Santa Clara County sheriff’s deputies responding to a burglary alarm on Tuesday were in for a surprise. The culprits? 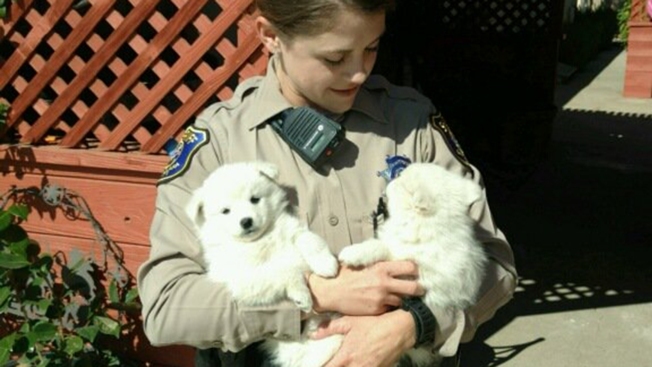 A pair of white, fluffy puppies. Deputies wrote on twitter that they located the suspects who triggered the alarm and solved the case. "Unknown if they were the actual culprits of the false alarm, but we have our suspicions," Sgt. Richard Glennon told SFGate. "But they are adorable nonetheless."